The much-loved band declared that they were calling it a day and performed their final show at London’s Alexandra Palace on 1 July.Thanks lads, it's been great. 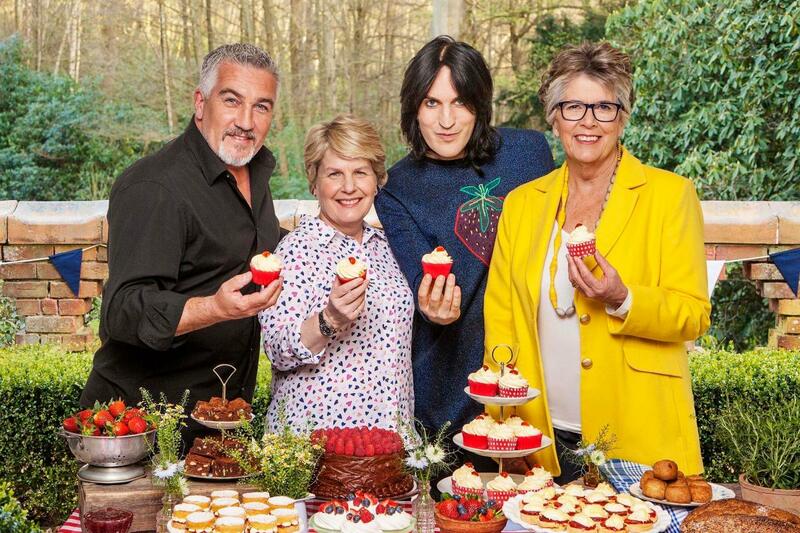 The world of TV was in shock when it was announced that the popular TV show The Great British Bake Off was moving from the BBC to Channel 4 - and that Mary Berry and hosts Mel and Sue wouldn’t be making the jump. But the new hosts - Sandi Toskvig and Noel Fielding - and new judge Prue Leith were warmly received. The world kept turning! March - Liam Gallagher Went Solo! Despite saying he’d always play in a band, the singer released his debut solo album As You Were in October, but trailed it with a series of live performances, including his debut outing at Manchester’s Ritz. His slot at Glastonbury also saw him perform the Oasis classic Don’t Look Back In Anger for the first time EVER. The elder Gallagher celebrated his 50th birthday on 29 May with a Narcos-themed birthday party and then returned with his third solo album, Who Built The Moon?, in November. A collaboration with producer David Holmes, it was a whole new sonic world for the musician. 22 people were killed on 22 May when a terrorist bomb was detonated outside a gig by the US singer Ariana Grande at the Manchester Arena. People came together in grief and defiance: the Oasis song Don’t Look Back In Anger became an anthem of unity and Grande staged a huge show in the city a week after the event. The Arena re-opened in September with a huge benefit show, featuring local boys Noel Gallagher, Peter Kay, Courteeners and more. The annual festival at Worthy Farm opened on the hottest day of the year… which kicked off a weekend of madness. Jeremy Corbyn addressed a huge crowd on the Pyramid Stage, Johnny Depp joked about the death of President Donald Trump and Royal Blood hung out with Brad Pitt as their album went to Number 1. Oh yes, and Radiohead, Foo Fighters and Ed Sheeran headlined. See you in 2019! Where to begin with Big Dave Grohl and his crew this year? They played a tiny show in Somerset to announce they were headlining Glastonbury. They headlined Glastonbury. They jammed with Rick freakin’ Astley. They opened their own pub in London. They hung out with our very own Chris Moyles. Oh yes, and they released an excellent album, Concrete And Gold. Phew. The remake of Stephen King’s classic horror novel about creepy clowns got a big screen update and became the highest grossing horror movie at the US box office EVER. The author was “not prepared” for how good the film was… and we bet he wasn’t prepared for the amount of money it was going to make him. What was going on at Fox News this year? It’s not like there’s been nothing happening in 2017, but the news channel took it upon themselves to have a pop at Radiohead on a number of occasions: the band and the people who like their music. Asked about her thoughts on this year's Rock 'N' Roll Hall Of Fame nominees, correspondent Katherine Timpf replied: "If it's about fame and not talent I think that Radiohead are definitely going to get in, and should get in. I don't even like them, but the kind of guys I like have to be three things: strange, malnourished and sad and those guys always like Radiohead." The Prince is to marry US actress Meghan Markle next May, which has launched social media banter into the stratospheres. Who will play the wedding reception? Foo Fighters? The Killers? And how HUGE will the stag do be? A Facebook group for the stag already has 38,000 followers who have all confirmed they’re going. It’s going to be massive. Elbow’s Guy Garvey singing the Paul McCartney Beatles classic Golden Slumbers as a cuddly monster reveals the true meaning of Christmas. What’s not to love? !